Zombie Tinder custom made, hand-forged, large "C" striker is tempered perfectly to throw the maximum amount of sparks while sitting comfortably within your grasp. Our high-carbon steel striker (58-61 HRC) will produce sparks for nearly a lifetime, even with frequent use. We use the highest quality flint rock available. 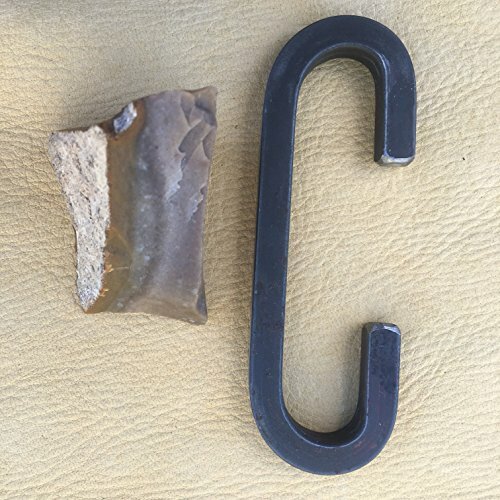 This is the same quality flint that was used by Native American tribes to fashion knives and arrow heads. Our flint rock is **EXTREMELY** sharp, so please take caution while using it. However, this extreme sharpness is needed to scrape the steel properly in order to generate the maximum amount of sparks. If you have any questions about this product by Zombie Tinder, contact us by completing and submitting the form below. If you are looking for a specif part number, please include it with your message.